Hat is from this pattern! 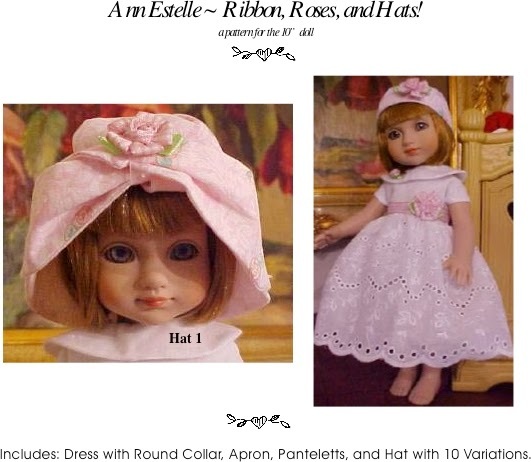 This is Darlene's Bubble Suit pattern with a hat from this pattern. Dress with Round Collar, apron, pantalets, and hat with 10 variations. Cute and easy pattern, packed with different styles. I used lots of ribbons and trims with this pattern. There are so many nice trims and all that look nice on doll clothing. Have fun with this pattern! Pattern is $8.00 and emailed with payment by paypal.